Twickenham Stadium has had an exciting redevelopment, providing a new aesthetic which will further enhance the Hospitality experience but don’t worry, the essence of The Green Room hasn’t changed one bit. You will still be entertained by legends of the game who will regale you with their stories of past Internationals and an informative level of punditry that you will not find anywhere else. 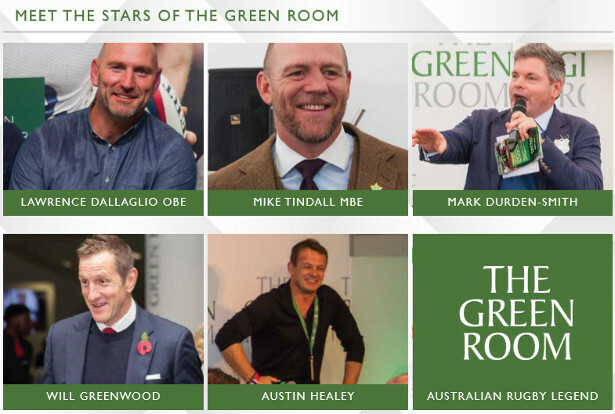 Join Green Room regulars Lawrence Dallaglio, Mike Tindall, Austin Healey, Sir Clive Woodward and some new faces, as our legendary host Mark Durden-Smith, pushes and probes them to relive stories of their finest achievements, as well as a few memories, I am sure they would prefer remained private. Providing you with a truly interactive experience, where you will be immersed into an environment that is the very epitome of all that is great about international rugby. All while enjoying an unparalleled level of exuberance, courtesy of the world class hospitality Twickenham Stadium has to offer. 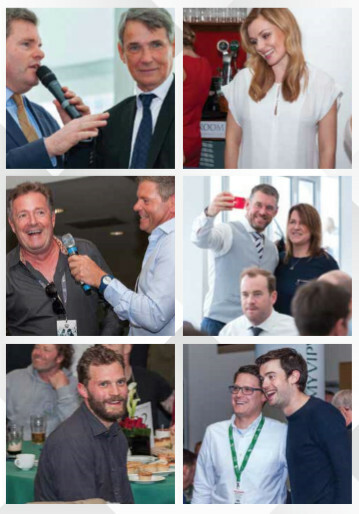 Alongside our sporting celebrities, the draw of The Green Room experience attracts a number of other famous faces who come to enjoy the day with friends and family. 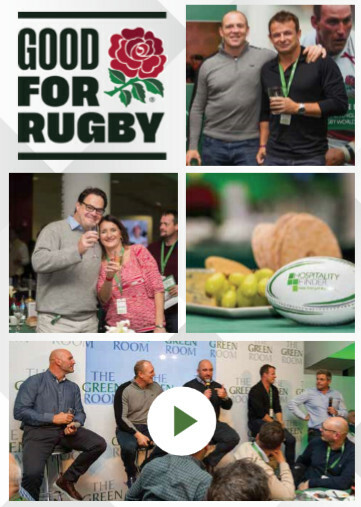 Located within Twickenham Stadium, The Green Room is an exclusive hospitality suite hosted by some of the biggest stars of international rugby who provide expert analysis of the game throughout the day. They are joined by former rugby legends from both teams, and with your officially allocated match tickets situated just moments from the suite, it makes The Green Room one of the most enviable locations at Twickenham. Private tables are available for groups of 10 – 12 guests with smaller groups allocated on a shared basis. 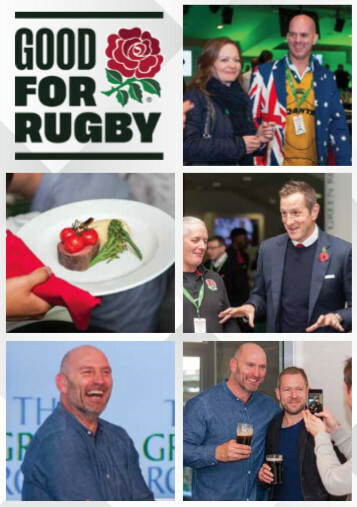 • RFU officially allocated match ticket • Hosted by Lawrence Dallaglio and Mark Durden-Smith • Appearances by The Green Room sporting ambassadors • Champagne and drinks reception • Four course gourmet lunch with fine wines • Full complimentary bar (excl. champagne) • Corporate gift • Prize draw to win exclusive hospitality experiences • Friends of The Green Room in attendance • Plasma TV screens • Post match savoury selection • Souvenir match programme • Event management in attendance • Official event documentation.